Ruby Grapefruit, Italian Bergamot, Plum Accord, Apple, Juniper Berry, Cardamon, Pink Peppercorn, Cinnamon Bark, Rum Absolute, Sandalwood, Agarbois, Vanilla Bean and Modern Musk. Lacoste pour Femme body cream is so emolient and creamy it really does moisturize your skin and is not just a bunch of watery fragrance. 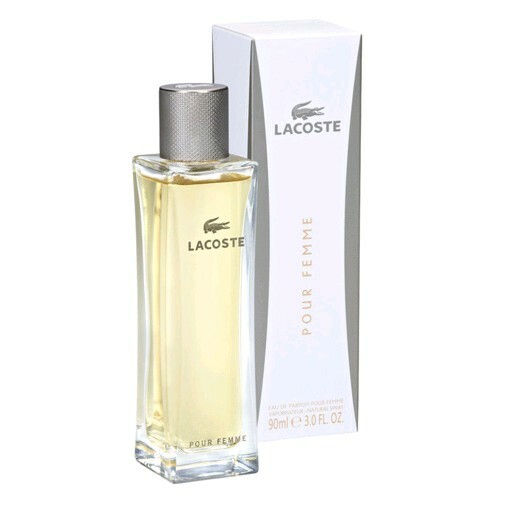 Of course it ahs that great Lacoste Pour Femme fragrance. I like to layer it with my eau de toilette. It smells so good. You won't be disappointed. ]5Jon Remy]So elegant and appealing!